This diary article is not a review, it is my own notes on my continuing experience using the Fujifilm X100s compact camera. Photography for me is a hobby and a continual learning curve. The diary content, will EXPAND and it will become more precise in each section as I gain experience with the camera and UPDATE the material. There will be some 'repetition of text' in certain sections and this is intended to assist as some readers may only read a particular section and not the entire article. All RAW and camera jpeg images have been captured using the camera in Aperture Priority mode (unless otherwise stated). The Fujifilm X100s compact camera was purchased as an alternative to a Canon 35L lens and you can read my original Fujifilm X100s Article which I used to make a final decision. I intend to use the X100s along with my 35mm 'Full Frame' Canon 5D MK 1 DSLR camera system and keep it in the same bag. However, I will also be comparing it to my existing 'street' camera, the Panasonic GF1 which I have been using since late 2009. I am very confident regarding the capability of the Fujifilm X100s camera to deliver exceptional image quality with superb handling. I have already tested out it's sibling the Fuji X-E1 camera with inter-changeable lenses which proved exceptional. I never pre-order but the X100s was one camera worth breaking my rule over. The camera arrived on the 19th March 2013, please check out my accessories list. The one accessory that I have left out for the moment is a spare battery which I will probably regret and eventually have to purchase. May 2013 - I have now purchased a spare Fujifilm branded battery. The weather has been appalling since I received my camera but hopefully it will clear up and I can get into town and take some street shots. This is an jpeg image, shot outside my house and it was captured with the camera 'hand held' during a brief pause in the bad weather when the sun managed to peek through the clouds. The f8 aperture setting delivered a very respectful depth of field but not totally unexpected as the lens may have a 35mm 'field of view' but it has a 23mm focal length. The film simulation was set for Velvia/Vivid, colour +1 and sharpness +1 with the noise reduction set to 0. Please click on the 600pixel size to open up a 2000pixel size that has been re-sized and sharpened using Adobe Lightroom 4.4 software. The Fuji X100s is a camera that I will use in it's minimalistic 'basic' form and in a similar fashion to my cameras from my early film days. I have decided (for a limited time) to shoot 'RAW' and JPEG image files as many readers will be shooting image files in jpeg mode. My initial tests have shown that Adobe Lightroom 4.4 software 'RAW' developer is capable of producing decent converted jpegs and tiff image files from RAW files, albeit with certain (see next section) limitations. The X100s with a 16Gb SDHC card installed and set for RAW+Jpeg image files is reporting that I can shoot 405 images. I am sure that the camera produced jpegs will be most excellent but I still prefer to shoot 'RAW' image files as they are the nearest I can get to film negatives for development. I suspect that many photographers will be considering the Fujifilm X100s compact camera as a step-up from a point and shoot digital compact and in the initial stages of using the X100s, it is likely that most will be content with taking the memory card with their jpeg images to a local store to have them printed or perhaps send the jpeg files via email to an 'Internet On-Line Printer Service' to have them printed and mailed back. For projects and capturing certain types of scenes, I normally shoot 'RAW' image files that provide me with more latitude in software post processing and which have the edge for image quality over the camera produced jpeg image files. A 'RAW' file also provides me with the ability to change the atmosphere in an image and also to lift highlights and control shadows and the noise, especially with low light images that have been captured using higher ISO (1600/3200/6400) ratings. There is an entire section on RAW Developer Software + Image Samples. Beware of the reviewers who con you with camera jpeg image examples that the camera could not possibly deliver. Although there are many Fuji X100s jpeg samples on the Internet a few of the more excellent ones have been post processed using Adobe Lightroom or a similar software package. Most reviewers want to display their best shots but the jpeg image that is shown in the review may bear very little resemblance to the one the camera actually captured and very often with a high level of colour saturation and sharpness that the camera simply cannot reach. The Fuji X100s camera jpegs are excellent but to make that ruined house jump out of the scene with that 'old world' rendering with vibrant colours (or in monochrome) and a bold sky requires the use of hardware light filters, perhaps some HDR and/or extensive post processing in software and sometimes, even a little bit of photographic art using a drawing tablet. None of the camera jpeg samples in this section were captured with any addon hardware (other than a standard UV filter fitted to protect the lens) or have been altered in any way, other than renaming the file using Windows 7 Operating System or re-sizing it (unaltered) using Adobe Lightroom 4.4 software. If you are going to shoot camera jpegs only then beware that the camera exposure multi pattern metering can be thrown off (similar to other cameras) with certain types of scenes. I tend to separate the exposure and lock it before I use the shutter button to lock onto my chosen area of autofocus or when I am using the lens to manual focus. If you are a camera jpeg shooter, it could be beneficial to spend more time in setting up the camera to the style of scenes that are the mainstay of your photography and adjust the DR, Highlight and Shadow Tones settings in the menu to suit your tastes. When you take a 'full size' jpeg to the printers it is invariably printed at wallet size or in the case of something a little bit more substantial - even up to 24" x 16" in size. This print size is beyond the recommended maximum size in the Fujifilm camera instruction manual which with the camera set at the L3:2 image size setting (4,896 x 3,264) the largest print expected from the camera is 16" x 11" which is approximately A3. There is a limit to what you can do with the camera jpegs as a mottled (smearing) effect can appear in the 'full size' variants, especially in shadows, foliage and distant hills. I have seen the mottled effect in 'full size' camera jpegs and also the 'RAW' file variants which proves that Fujifilm (like other camera manufacturers) have perceived limitations as to what the camera and lens can deliver in resolution. Everything is relational, even the price and although the Fujifilm X100s camera appears expensive in the scheme of things and costs around £1,000.00 in the UK, bear in mind that a top notch 35mm professional lens from Canon with large optical glass costs around £1,720.00 retail. More on optimum image quality. I have not really spent a great deal of time in setting up the Fujifilm X100s for camera jpeg shots, its something I have neglected as I prefer to shoot in 'RAW' image file mode. I have my camera jpeg saturation and sharpness both set to +2 in the menu settings. The saturation is probably better at +1 as the camera jpeg image skin tones, especially the lips are verging on the red and this is more noticeable on a HD TV display. Interestingly enough the full size camera jpegs when displayed on a PC screen at 100% are not that attractive and are better restricted to around the A3 size or very slightly larger for viewing BUT on a HD television screen, WOW, you can really see the clarity, the detail, the sharpness at way beyond A3 display size. I only found this out the other day as I don't own a HD TV. 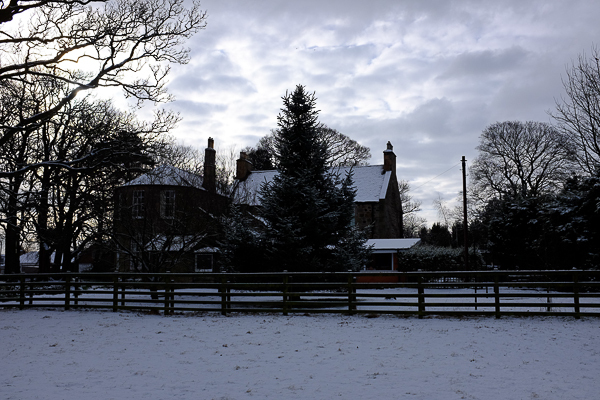 The following 'Full Size' camera produced jpeg images are straight off the memory card and renamed using the Windows 7 Operation System. They have not been altered in any way and (in some cases) the camera has been set to produce VIVIDLY saturated (Color +2) and HARD sharpened (Sharpness +2) jpeg images - the 200Pixel and 1650Pixel variants were re-sized for the web and you can read the image capture settings in the display plates. You can save the images down to your hard disk and then view them on your monitor at a size that suits. Using the electronic viewfinder, the first image of the tipper on the building site was shot without any exposure compensation (half press of shutter button locks exposure and focus point) and the second image was shot by first aiming the camera slightly at the sky to make the exposure meter increase the shutter speed due to the brighter scene (you can also use the exposure compensation dial) and then locking the exposure using the AEL button and finally re-aligning the scene, pressing the shutter button to lock on the autofocus and finally to take the shot. In the tipper images you can see the lens vertical edge distortion in the scaffolding on the far right and the window frame on the left. In the image below (click to open a full size variant) of the coach house the distortion is even more apparent. The image of the coach house was shot using the shutter to lock the exposure and the autofocus without any exposure compensation. You can clearly see the vertical distortion in the walls at each side of the image. You can see a CORRECTED 1650Pixel version of the coach house (matching 'RAW' to jpeg conversion) in the RAW Conversion - Image Samples section of this article. 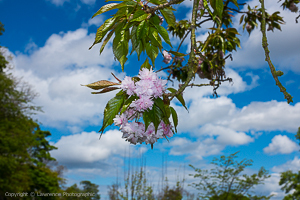 Both these images have been re-sized and sharpened using Adobe Lightroom 4.4 software. The camera produced jpeg is on the left with a slight purple hue to the sky. The camera jpeg appears to have less blue fringing on the small leaves in the trees because the X100s camera jpeg engine has done a better job than Lightroom which has failed (despite many automatic and manual attempts) to remove the fringing in the RAW to converted jpeg on the right. It appears that Lightroom lacks the proper X100s camera calibration profile and lens profile to completely tackle the fringing - quite a disappointment. However, in fairness to Fujifilm, I have experienced the same problem in this type of scene with my Canon L lenses and although Adobe Lightroom 4.4 has a camera and lens profile for the Canon kit, it could not remove the blue fringing in the Canon RAW conversions to jpeg. I have also post processed the 'RAW' image file using the bundled SilkyPix software and you can see a 1650Pixel example in the RAW Conversion - Image Samples section of this article. These are more camera jpeg image samples, some are shot in good light and some in very dismal light. There are also some matching 'RAW' to jpeg 1650Pixel conversion variants in the RAW Conversion - Image Samples section of this article. After discussions with PhaseOne relative to their Capture One Pro 7.1.3 software, I have decided to remain with Adobe Lightroom 5 Software. I am sure that the X100s camera bundled SilkyPix software will prove most excellent but I prefer Lightroom, especially for the power of it's catalogues. 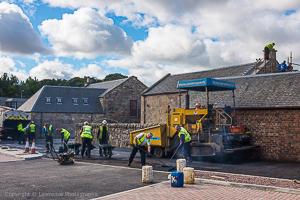 August 2013 - I have upgraded to the latest version of Lightroom 5 software and re-checked my 'RAW' images but I could see no 'visible' improvement over the Lightroom 4.4 version that I had been using. There is no Fujifilm X100s camera calibration profile or lens profile in Adobe Lightrooom 5 software so I used the default Adobe profile. You can modify many of the post processing settings (e.g. colours, saturation, sharpness, noise reduction, etc) and save them to a pre-set (or pre-sets) for later selection to quick edit other 'RAW' image files. Adobe Post Processing PC Display/Print Limitations - It is interesting that Fujifilm in their X100s owner's manual, state that with the camera set at the L3:2 image size setting (4,896 x 3,264) the largest print expected from the camera is 16" x 11" which is approximately A3. When you digitally display the actual L3:2 image size on a PC screen at 100% it actually measures out at around 47.5" x 31.6". There is no doubt that the Fuji X100s images (camera jpegs and post processed RAWs) can be digitally displayed or printed above 16" x 11" and if you are careful, you can increase the sharpness, contrast and saturation amongst other settings up to your chosen size to present a reasonably balanced image without any artifacts such as compressions or a mottled effect (image breakup) but the possibility of jaggies in non vertical/horizontal lines may force lighter sharpening. In the end it is all about creating an digital display and/or gallery print that is post processed for a specific viewing distance. For more information please visit my article on optimum image quality. Adobe LR5 RAW Conversion for Gallery Prints - The new (August 2013) Adobe Lightroom 5 software is excellent for post processing 'RAW' image files and converting them to tiff format. With careful editing you can create a 100% full size tiff image which is free from jaggies and compressions and can be used to produce an excellent gallery print. The actual size of the final gallery print is determined by how much sharpening has been applied in post processing as in some cases a 100% print size (around 47.5" x 31.6") may display a breakup in the rendition. Adobe LR5 RAW Conversion for PC Digital Display - The new (August) Adobe Lightroom 5 software is excellent for post processing but it has limitations with the X100s (.RAF) files in relation to sharpening images for digital display as even the slightest over sharpening will create a 'mottled' breakup of the image at 100% digital viewing size. On the other hand if you re-size and sharpen the image (typically 2000/1650 Pixel sizes) the mottling effect cannot readily be seen in a PC digital display. However, the Fujifilm X100s camera does not have an anti-aliasing filter and there is a Catch-22 in that images that have been re-sized and moderately sharpened, even large images at 2000/1650 Pixel sizes can digitally display jaggies a stair like effect on non horizontal/vertical lines (e.g. railings, telephone wires, window frames, tiles, gutters, etc) which will show jagged edges or even in the case of rounded railings, you can see continuous rotational edges. Unfortunately to remove the jaggies means that you either have to blur that part of the image in post processing using an adjustment brush (or specialised software) or the image may have to be presented without additional sharpening applied. Full size 100% digitally displayed images do not seem to suffer from this problem as much but then sharpening is restricted in any case to avoid the mottling effect. 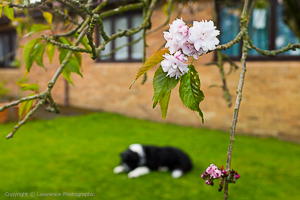 This 'jaggies' phenomenon is not restricted to the Fuji X100s camera as it is common in other camera digital images that have been re-sized and sharpened for PC digital display. 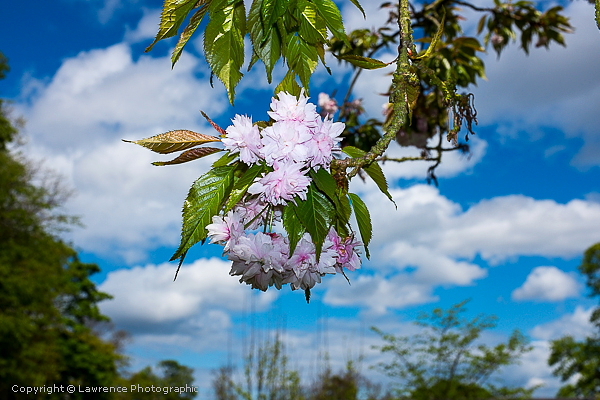 Both these images have been re-sized and sharpened using Adobe Lightroom 4.4 software. The camera produced jpeg is on the left with a slight purple hue to the sky. The camera jpeg appears to have less blue fringing on the small leaves in the trees because the X100s camera jpeg engine has done a better job than Lightroom which has failed (despite many automatic and manual attempts) to remove the fringing in the RAW to converted jpeg. It appears that Lightroom lacks the proper X100s camera calibration profile and lens profile to completely tackle the fringing - quite a disappointment. However, in fairness to Fujifilm, I have experienced the same problem in this type of scene with my Canon L lenses and although Adobe Lightroom 4.4 has a camera and lens profile for the Canon kit, it could not remove the blue fringing in the Canon RAW conversions to jpeg. I used the same RAW image file and did some post processing using the 'bundled' SilkyPix software that came with my Fuji X100s camera. When you compare it to the camera jpeg file above on the left the conversion is very similar, the blue fringing is almost non existent, the far distant background is well balanced (not bluish as in the Lightroom image) and the sky blue is more balanced without the purple hue. All in all, it looks like SilkyPix software is a better option for post processing RAW image files of similar type scenes than Adobe Lightroom! Adobe LR4 RAW Conversion/Colour Bleeding - There is unfortunately BLUE colour bleeding on white in the image of the bar (see image below) but you have to look carefully and at 100% 'Full Size' to find it. On the table is a black tray full of white serviettes and if you check out the printing in the RAW to jpeg converted image you will see colour bleeding but it is not visible in the camera produced jpeg version. Unfortunately in some of my images where very small and thin objects (e.g. light branches on trees, white wings of seagulls) are set against a blue sky, then you can visibility (at 100% size) see the white of the object bleeding white out onto the blue background. In absolute fairness to Fujifilm, I have seen this same phenomenon in 'RAW' image files from other digital cameras which have been post processed and converted to jpeg format using Adobe Lightroom software. Adobe LR4 RAW Conversion - The following Fuji X100s jpeg images of the bar and the beer glass were converted from RAW files post processed in Adobe Lightroom 4.4 software. The camera was set for Jpeg + RAW files so there are also FULL SIZE camera produced jpeg images in the 300Pixel size sets, below the 600Pixel sets. The post processing was minimal and as there is not a Fuji X100s camera profile in LR4, I used the 'Adobe Standard' profile and boosted the saturation, vibrancy, clarity, contrast and a little noise reduction. There was no lens distortion correction, vignetting correction or chromatic aberration removal applied. The images were captured with the camera 'hand held' the lens wide open, no flash was used and the white balance was set to auto. The centre/spot autofocus was positioned on the dead centre of the bar scene on the broad chrome support in the first image and on the writing on the beer glass (then scene re-aligned) in the second image. There is a great deal of bokeh in the background of the images with different colours well worth checking - I think the Fuji X100s camera/lens does a great job wide open at aperture f2. Please click on the 600 pixel image below which will open up a 2000Pixel RAW conversion to Jpeg image, click on that and you will open up a 'FULL SIZE' RAW conversion to Jpeg image. The Cockenzie Power Station in East Lothian, Scotland ceased operation in March 2013 and will soon be demolished. The harbour will remain and as you view the image, the broad pier walkway on the right was rebuilt in 1953 after the storm of that year breached it and sent several very large pieces of stonework down onto boats that were berthed in the harbour. My grandfather's boat had it's engine smashed through the bottom and the remains of the wooden hull drifted out and down the east coast for many miles before it was recovered and brought back to Cockenzie. Development Latitude with Fujifilm X100s RAW Conversions - There is a tremendous latitude in the Fuji X100s camera 'RAW' image files. Whether you are using the bundled SilkyPix software that comes with the camera or Adobe Lightroom 4.4 software, you can recover images that have been underexposed/overexposed and also tweak images to create atmosphere in their presentation. In the following image of the farmhouse I was amazed that the electronic viewfinder coupled with the exposure metering (multi-mode) displayed a very accurate account of the scene, similar to what your eye experiences. However, because there was bright snow in the foreground, I think the (multi-mode) exposure metering setting balanced out the view through the EVF because in normal circumstances with the X100s EVF a bright skyline with a dark foreground tends to open up the foreground whereby the sky could lose detail. In any case, as usual with any digital camera, you may have to open up the exposure to capture more detail in the foreground at the expense of losing some of the cloud detail. 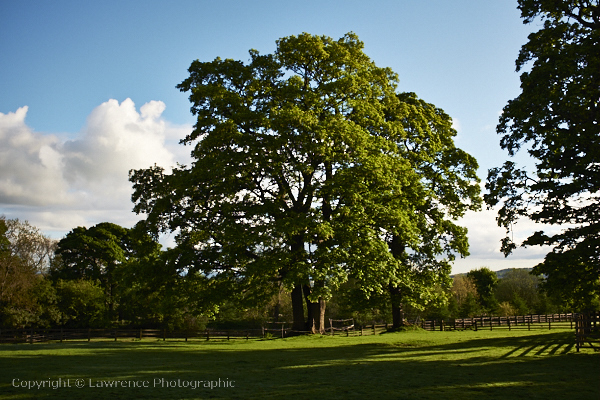 The X100s dynamic range is excellent but obviously there are limitations with some scenes. In such instances, the answer is to open up the exposure on the foreground and either fit a 2 stop graduated screw filter to the lens (using the Fuji Adapter) to pull back the cloud detail OR add a software graduated filter to the skyline in post processing, provided you have managed to keep some detail in the clouds when the shot was taken. 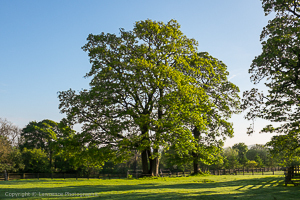 It is relatively easy to display an image of a well lit scene on a sunny day but I prefer to show a scene that is difficult to shoot especially without a tripod or graduated filter and when faced with oncoming light and a bright sun in the top left corner - not a scene you would normally shoot at that time of the day and you would probably wait until the sun had moved behind you and shining on the front of the house. The following L3:2 image (4,896 x 3,264) size was captured in camera RAW + Jpeg mode. This camera produced jpeg was shot 'hand held' and the scene captured was exactly as the electronic viewfinder reflected it to my eye - the dynamic range setting in the menu was set to AUTO. I made no attempt to use the exposure compensation dial and adjust the (multi-mode) exposure and lift the foreground light as I wanted the detail in the clouds for the RAW development. I captured other variants of this scene but with the foreground exposure lifted the sky was almost white without any detail in the clouds. Check out the birds in flight in the skyline and the bird on the top right roosting in the tree - the centre spot focus was placed on the centre fir tree just above the fencing. The 3 images are from a camera produced jpeg and the 600Pixel and 1650Pixel sizes have been re-sized (without any other adjustments) using Adobe Lightroom 4.4 software. Farmhouse Image - Jpeg Converted Images - These are jpeg images converted from the RAW File Variant using Adobe Lightroom 4.4 Software. The main reason for purchasing a Fujifilm X100s digital camera is because it is compact and lightweight for general use and street photography. However, I also purchased my X100s as an alternative to a Canon 35mm L lens for landscape photography. 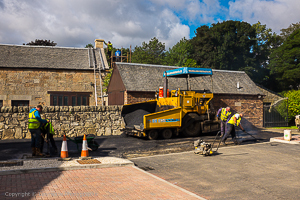 The following images were post processed using Adobe Lightroom 4.4 software and the shot settings can be found on the 1650Pixel display plates. The Fujifilm X100s camera does not have a camera calibration or lens profile in Adobe Lightroom 4.4 software, instead it uses the default Adobe profile. The colours are very good but tend to err towards the colder side which is more apparent in landscape images. The image above has not been altered for temperature or tint and I used the aforesaid Adobe profile. The image below has been altered towards a much warmer delivery which is easily seen in the white clouds to the left. Post processing and producing a final image to your own taste might not suit everyone but Adobe Lightroom 4.4 software is very flexible and even with the limitations of the camera (Adobe) calibration profile, you can produce some very nice pre-sets. PhaseOne Capture One 7.1.3 Software - At present (September 2013) Capture One (C1) does not have the ability to store RAW files along with their edit record files (.xmp in Lightroom) in the same directory. The edit record files are created in the catalogue directory. If you then create another new catalogue and use some of the same RAW image files, you will then have to start the edit all over again and once more the edit record data is stored in a file in the new catalogue. This is not an issue for editing and converting tiff, jpeg image files for gallery prints but it is a serious issue if you use a number of catalogues and their own web creation section to create a number of sub photo webs for the internet where some of images used are converted from the same RAW image files. 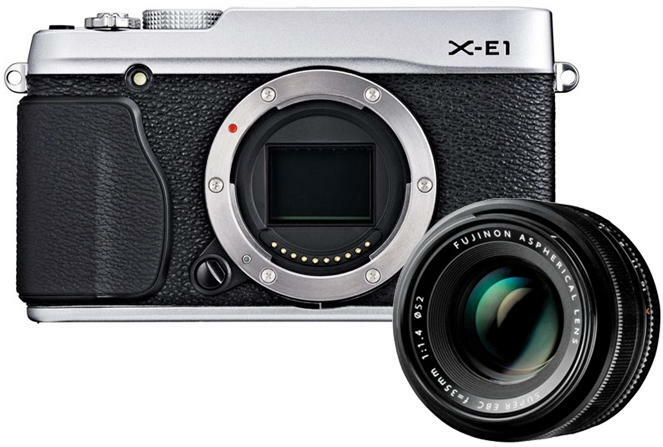 PhaseOne Capture One 7.1.3 software supports the Fujifilm X100s camera. In C1 you can export a RAW file to a new directory, which will collect the edit record file from the catalogue and place both in the new directory. However, this takes up disc space on your storage device and is time consuming. When you then access the RAW file in it's new position from a new catalogue, the edit record activates but if you then make any further edits the edit record is amended in a new edit record file in the new catalogue directory. Adobe Lightroom 5 Software - Using Lightroom 5 (September 2013 download) you can move a RAW file around anywhere, to any directory, any storage device and as long as you copy it's .xmp edit record file along with it you can start a new catalogue, import the RAW file and the edit record is maintained. You can leave a RAW file and it's .xmp edit record file in a central storage directory and access it from any catalogue. WARNING: If you edit the RAW file again from any catalogue the .xmp file is updated and the changes are reflected in all your catalogues. Secure RAW Files - Using either Capture One 7.1.3 or Adobe Lightroom 5 software, a RAW file is never actually edited or changed in any way (unless you rename it) - the edit record file holds the reflected changes. I always make copies (archive the originals) of my RAW files, so that I can rename the copies, create edit records and use the jpeg conversions for my webs. The Fuji X100s is a beautiful piece of kit and very well build. The dials and buttons are all very positive in use and compliment the retro style of the camera. I like the size of the X100s which is slightly larger than my current Panasonic GF1 Micro 4/3rds camera and this is not a bad thing as it suits my large hands and is slightly easier to manually control. Electronic/Optical Viewfinder - The RED spot front lever is perfectly positioned for a quick finger flip to toggle between the optical and the electronic viewfinder - see full coverage of the viewfinder in other sections of this article further down the page. Display Screen Data - I use the (all ticked) custom display for the electronic viewfinder/optical viewfinder and the LCD screen. It has the 9 zone lines and an artificial horizon indicator line which glows green when the camera is horizontal. The display also has a histogram on the bottom left corner of the screen, a blue distance (metre) scale along the bottom of the screen, a exposure composition scale on the left side of the screen as well as many other icons including A for aperture priority, ISO, shutter and aperture ratings. The optical viewfinder also has a (toggle using the rear DISPLAY button) clean frame outline display with minimal icons and a blue distance scale bar (blue bar only in manual focus mode) on the bottom which accurately displays the distance that you have the lens manual focus set at. Main Menu + Q (quick) Menu - I am no problem with either of these menus for accessing, scrolling through and changing the settings. The buttons and dials do most of the work in any case. LCD Screen - I feel that the LCD screen could easily be scratched and it lacks real firmness for cleaning. In fairness to Fujifilm, I have experienced the same on other more expensive cameras and my answer is to strengthen it using a standard 3" Giottos LCD screen (glass) protector. It's not in-expensive but it converts the X100s LCD into a screen that is more robust. Please check out my accessories list for how to fit. Command Dial and the Command Control Wheel - I have read that some photographers have complained about these controls but I like them. They are different in build to similar placed dials on my other cameras but once you start to use them, they pose no problem. The rear/top Command Control Wheel is the one to remember - it has a little raised notch on the wheel which requires a very light touch to flick it right or left to make your setting adjustment or a light ON/OFF press or a light HELD press for other setting controls. You will get no result from this wheel if you press it hard and try to turn it! Switches/Dials - The on/off power switch has a firm click to it and is robust in design. The shutter and exposure dials have a reassuring feel to them and like the on/off switch they have firm movements and solid clicks when you adjust the various settings. I am not so enthusiastic about the Focus Mode Selector switch on the side of the camera which slides up and down and reminds me of those horrible cheap torch on/off switches that wear out over time and eventually fail to make a power contact. However, there does not seem to be any bad reports regarding this switch on the previous model (Fuji X100) so hopefully my fears will be unjustified! Shutter Sound - The shutter sound can be lowered or raised (in the menu) but out of the box it sounded just fine. It can be heard by the photographer as a very quiet click but I doubt if anyone else would hear it or if they did, they might have trouble sourcing it back to the camera. Ideal for street photography and also casual photography in social company. Exposure Metering + Dynamic Range - At present, I have the exposure meter set-up for multi-pattern metering and the DR in the main menu set to AUTO. My experience so far of using the DR set to AUTO and comparing it to the DR 100% setting for the ISO:200 range is that 75% of the time the exposure meter readings are the same but on the other 25% the DR set to AUTO tends to underexpose/overexpose by 1/3rd stop up to 1 stop. It appears that there is a greater occurrence of incorrect exposure when the shutter button is used to lock the exposure + the centre/spot autofocus point together on a subject. This area is still a work in progress but as I use aperture priority mode and manually selected ISO settings (not auto ISO) my initial reaction is to leave DR set to AUTO and concentrate on the histogram and exposure compensation controls to set-up my exposure and lock it using the (toggle on/off) AEL button. I am then free to place the centre/spot on my point of autofocus and lock it using a half/press hold of the shutter button (does not affect my already AEL locked exposure), re-align the scene if necessary and press fully home to take the shot. Also read the Electronic Viewfinder Section regarding the effect on the EVF of locking the exposure using the AEL button. ND Filter - The neutral density (3 stop) filter can be used to reduce the shutter speed when the aperture used (e.g. f2) dictates that the shutter speed is pushed beyond it's limit (e.g. 1/1000sec) and allows the camera to read the correct exposure. The ND filter can also be used (with the camera on a tripod/timer) for stopped down apertures (e.g. f16) to slow the shutter right down for creating (e.g. frothy water) effects. The only downside is that I use the aperture priority mode, so I have to enter the main menu (in shooting mode) to change the ND filter to ON and unfortunately I have to remember to switch it back to OFF. Battery - I have tested the supplied battery for shots per charge and I managed to achieve 128 RAWS + 128 Jpegs (256 total) before the battery displayed a RED WARNING and shut down the camera. I did check all the captured images using the LCD screen which was active (eye switchable) with the electronic viewfinder, when the camera shutdown. I have noticed that the battery indicator can be showing 1/3rd charge left and the next minute the RED WARNING light (battery shape icon) appears on the screen. The battery then takes around 2 to 2.5 hours to re-charge. Normally I don't take a great deal of shots on any outing but the battery life is poor compared to other cameras that I use, so I will require a spare battery. I have now been using the supplied battery for a couple of months and I have noticed that it's ability to hold a charge has improved with each charge of the battery (from near flat) but recently (May 2013) I purchased a spare (Fuji Branded) battery as a backup for my street photography. Adapter/Filter/Hood Assembly - I have added the Fuji filter adapter, B+W MRC UV 49mm filter and the Fuji lens hood which all compliment the build of the camera as they are all beautifully manufactured. I leave the adapter/filter/lens hood permanently fitted and the camera looks great. I have fitted a Gariz wrist strap as opposed to the supplied shoulder strap and I like to carry the camera with my hand cupped around the base and my thumb between the hood and body. I have no argument with the manual controls as the buttons are all perfectly placed and (for my needs) I will very rarely visit the Q menu. In any case, I do not have a problem with the menu system on the Fuji X100s, it is well laid out and relatively easy to use but in reality the camera begs to be used as befitting its' retro style dials and buttons. 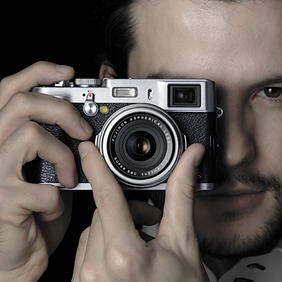 Please use this Fuji X100s Instruction Manual as a reference guide. I have also made a list and explained how all my accessories were fitted to the camera in my Accessories Section. The Fujifilm X100s compact is proving to be an excellent choice of camera and I am now getting to grips with the autofocus. Initially I had problems with the AF-S area/centre/spot autofocus which would not lock onto certain subjects, typically in very low light, close-up flowers and subjects with a large colour areas (e.g. clear blue skies, large doors) but generally for 98% of my shots the autofocus was fast and accurate enough to deliver a very high keeper rate. On the odd occasion the autofocus went into free fall and refused to lock onto anything but I established that this invariably happened when there was a large movement in the lens glass typically shooting a close up subject and then shooting a subject near or at infinity and vice versa. The answer is to keep the lens glass near the centre of its travel distance for general distance (e.g. street photography) shooting. I also found that separating the exposure, by adjusting it and locking it, using the AEL button, BEFORE the half/press/hold of the shutter button to lock the autofocus on a subject, delivered the 'optimum' exposure and autofocus accuracy. Simple Mistake - Out of the blue, I discovered a simple mistake to make. It was nearing dusk and the sun was dropping on the barns in the far field at my home and I was trying to get the camera to autofocus on the main building but it would just come up with the RED rectangle error. I was in a hurry to catch the light and get the shot; I tried other areas of the landscape scene but still the RED rectangle error came on in the viewfinder and the autofocus would not lock. Everything was set to my normal settings in the viewfinder and I was starting to panic that the camera had developed a fault, when I finally noticed that the macro light was on - the camera was in macro mode - duh! Speed - The autofocus (half press/hold shutter button) is not lightning fast but nevertheless it is acceptable. The AF appears to be very slightly slower using the optical viewfinder (faster with the optical viewfinder power save switched off) but again (for my uses) acceptable. I have found that switching the auto capture preview display to OFF and using the optical viewfinder plain view display (power save switched off), I get the optimum speed out of the camera bearing in mind that I am shooting Fine Jpeg + RAW image files. Large Single Contrast Areas - When I use centre/spot autofocus there are occasions when it refuses to lock on to an area in a scene (e.g. clear blue skies, coloured door) so I quickly focus on another area (e.g. distant trees, the door edge) lock the focus by using a half/press hold of the shutter button, re-align the scene and press the shutter button down to take the shot. I have to watch that I do not overlap my centre/spot (AF/Area) autofocus rectangle over the edge of a primary subject in the foreground with an area in the background (or foreground) as it can throw the autofocus off whereby the primary subject appears to be sharp in the LCD screen playback display but it is actually slightly blurred when the image is viewed at 100% full size or even when re-sized/re-sharpened for a digital display. This is more apparent with images that have been captured using apertures (f2-f4) which produce less depth of field. These are rare occurrences as I can shoot street photography all day with the area/centre spot autofocus (AF rectangle at full size) and yet achieve an exceptionally high keeper rate. For difficult scenes and if in doubt and there is time, I use manual focus peaking instead of autofocus. When shooting images that are close up, especially macro type images with a wide open aperture like f2, I would normally use a tripod and the lens manually with the focus peaking aid but on this occasion, I used the camera hand held and (not macro mode) centre/spot autofocus. I was disappointed with the (half press/hold shutter button) autofocus as I tried many times to get it to lock onto the petals of the flower (even slightly further away) but without any success. Finally it managed to lock onto the small buds below the flower which have turned out rather nice, you can even see a small water droplet on them. At aperture f2 the depth of field is very thin as the subject is very close. I have a solution to this problem (using step down) as explained in the paragraph below. Stepping Down the Autofocus Distance - I have established that when I have a problem with the (half press/hold shutter button) autofocus locking onto a close up subject, I can step down the centre/spot autofocus by starting to lock onto the subject from about 3 feet away, then lock on at 2 feet away and so on until I reach the desired close up distance. Surprisingly, this actually works virtually every time and appears to have everything to do with the distance of travel of the glass in the lens during autofocus. It is more accurate than autofocusing at infinity and then back onto the close up subject when (on occasions) I have experienced that the AF will JUST NOT lock-on, even with the AF Illuminator set to ON in the menu. This can happen at any subject distance and invariably the shot is lost as the AF will hunt and hunt and the camera seems to go into a tailspin. It happens at all aperture settings; it is not frequent but when it does happen you can have a devil of a job to get the AF to re-engage. I am not sure 100% that it is relative to the subject contrast material as the camera behaves (sometimes) like a falling plane with the pilot trying to get the engine to start and when it does the AF locks on to the original subject like a ferret on a rabbit, very fast and deadly accurate. I established that this invariably happened when there was a large movement in the lens glass typically shooting a close up subject and then shooting a subject near or at infinity and vice versa. The answer is to keep the lens glass near the centre of its travel distance for general distance (e.g. street photography) shooting. I also found that separating the exposure, by adjusting it and locking it, using the AEL button, BEFORE the half/press/hold of the shutter button to lock the autofocus on a subject, delivered the 'optimum' exposure and autofocus accuracy. Taking steps down to the close up range works and the following image is a good example. With this flower I tried everything to get the AF to lock on, even drawing slightly back in case I was too near (I was not using macro mode) but without success. Using the step down method (as described above) the AF locked on every time. The flower is actually 1.25" (31.75mm) in size - across the petals and I post processed the 'RAW' image file and converted it to a jpeg using Adobe Lightroom 4.4 software - the image has not been cropped. The lens is very well made with a 'smooth motion' manual focus ring and behind it an aperture ring with click stops and two raised ridges for your finger and thumb to grip on either side which makes changing the aperture setting whilst the camera viewfinder is up at your eye most enjoyable. Any aperture change is reflected in the (both) viewfinder so you don't have to take your eye away to make the aperture change. Lens Performance - Border Weakness - Field Curvature - With a L3:2 image size setting (4,896 x 3,264) viewed at 100% digital viewing size, it is possible to see the weaknesses in the resolution of the lens at certain apertures. The lens centre resolution rises and peaks at apertures f4, f5.6 and f8 before gradually falling off at f11 and f16. The borders gradually rise in resolution from aperture f8 until they almost match the best centre resolution of the lens at f16 - yes the borders are softer but in comparison to other lenses, even some of the more expensive primes, the image quality remains excellent. There is a crossover in resolution between the centre and the borders and I reckon the optimum aperture for the best overall image image quality has to be f8 based on placing the centre performance as the primary objective. There is no doubt that my lens has some sort of 'field curvature' weakness which can be seen (some images) in landscapes shot at infinity. This is seen as a border resolution weakness and in some cases can only be seen on one side of the image. This is more apparent if the lens is positioned to the right (or left) and off centre to the scene when the shot was taken. The further the landscape scene is away from the lens the more apparent the border weakness becomes but more so with infinity focusing. It may well be lens 'field curvature' and I suspect it is in the design and build of the 23mm lens (rather than a poor copy). At aperture f16 with an infinity focus landscape shot, the border edges display the optimum resolution, however at f16 the lens centre is at maximum diffraction and it's resolution is therefore weaker. In any case up to A3 display/print size it is much harder to recognise any resolution deficiencies in the lens. Manual Mode Learning Curve - No digital camera is perfect, otherwise we would all probably purchase just one in our lifetime and the camera manufacturers would be out of business. The Fujifilm X100s with it's fixed 23mm (35mm field of view) lens is fairly close to the mark for general everyday use and special projects. It's not a camera that is instantly useable (manual mode) without a breaking in period, there is a learning curve in it's handling and I guess that is why there are a few negative reports on the gear forums regarding the X100s. I am still learning and I have been using it (May 2013) for 2 months. Exposure Wrinkles - The exposure metering is probably the main area that catches out the camera jpeg shooters who report overexposure in a number of their shots. At present, I have the exposure meter set-up for multi-pattern metering and the DR in the main menu set to AUTO. My experience so far of using the DR set to AUTO and comparing it to the DR 100% setting for the ISO:200 range is that 75% of the time the exposure meter readings are the same but on the other 25% the DR set to AUTO tends to underexpose/overexpose by 1/3rd stop up to 1 stop. It appears that there is a greater occurrence of incorrect exposure when the shutter button is used to lock the exposure + the centre/spot autofocus point together on a subject. This area is still a work in progress but as I use aperture priority mode and manually selected ISO settings (not auto ISO) my initial reaction is to leave DR set to AUTO and concentrate on the histogram and exposure compensation controls to set-up my exposure and lock it using the (toggle on/off) AEL button. I am then free to place the centre/spot on my point of autofocus and lock it using a half/press hold of the shutter button (does not affect my already AEL locked exposure), re-align the scene if necessary and press fully home to take the shot. Also read the Electronic Viewfinder Section regarding the effect on the EVF of locking the exposure using the AEL button. Lens Resolving Distance - The Fuji X100s camera lens is very capable and even without a tripod or image stabilisation and when hand held it manages to deliver excellent images. With the lens aperture set to f2 wide open at ISO:3200 or even ISO:200 the image quality is very good. At aperture f8 it manages to deliver very reasonable landscape images and with a decent depth of field. I am still shooting camera jpegs + RAW image files but for best image quality the RAW image files, properly post processed, come out marginally ahead. Every lens has limitations for resolving very distant subjects (houses, fences, hedges, trees, ships) in landscape shots, especially without a tripod but overall the X100s 23mm fixed lens performs very well in this respect. Re-sized, re-sharpened digital images for the web cannot properly demonstrate the qualities of the lens as jaggies or compressions often materalise but no such problems arise when post processing a raw image file to tiff or jpeg format (without re-sizing) for a gallery print. 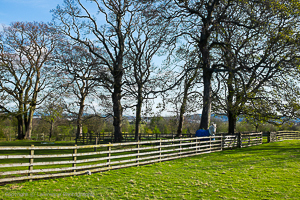 This is a jpeg image that has been converted from a 'RAW' image file using Adobe Lightroom 4.4 software and it was shot with the camera 'hand held' at aperture f8 - the lens has managed to resolve the distant landscape rather well. Hand held camera shots should be avoided for serious landscape photography and a tripod used instead but most photographers purchase the Fujifilm X100s camera for it's compactness and in many cases, specifically for street photography. For indoors, street photography and with subjects that are relatively close, the image quality from the X100s is exceptional but it is very hard to judge just how good the X100s lens is with distant landscape shots. It appears to be very good but then it should be for a camera that costs around £1,000.00 in the UK. Below is a 'RAW' conversion to jpeg comparison image taken with a Sony Alpha A57 SLT camera (hand held) with a relatively in-expensive Sony DT 35mm f1.8 SAM prime lens with a 52mm field of view. The shot settings are ISO:100, aperture f5.6 and shutter 1/320sec. The Sony combo costs £514.00 vat inclusive in the UK. Autofocus & Manual Focus - I have found that the autofocus in normal lens mode and macro mode is not always consistent for close distance. Sometimes I can autofocus closer (on the same subject) in both modes, especially after first using manual focus and the focus peaking aid. In any case, using focus peaking and manual focusing, I can get much closer to the subject in normal and macro mode. I have the filter adapter, UV filter and lens hood fitted and I have checked that my B+W 49mm UV filter clears the lens movement as it extends. Manual Focus Ring - I mainly use autofocus for speed but on the occasions when I have tried out the manual focus ring of the lens, I find it pleasingly responsive and the manual focus ring throw is exactly half a turn between 0.1 metre to 0.5 metres and again another half turn from 0.5 metres to infinity. However, I tried using my thumb and finger to rotate it and they started to cramp up (age thing) especially when they were brushing past a raised ridge of the aperture ring and in-between the small space between the aperture ring and the back of the lens hood. I have now started to rest my thumb under the camera on the left bottom side of the base and using my index finger to rotate the manual focus ring. Without doubt, if I removed the adapter, filter and lens hood assembly, I would have much more room to operate the manual focus ring. For me this will not be a serious problem as I will only be using the manual focus in extreme conditions where the AF will not lock on or for tripod work. Street Photography - Many photographers will prefer to use the optical viewfinder for street photography and using the lens, some prefer autofocus and others manual focus. The autofocus is very slightly slower when using the optical viewfinder but nevertheless with a spot/centre autofocus focus point it does a great job. Using the optical viewfinder, the lens in manual focus mode has no manual focus aids other than a blue bar distance (metres) scale displayed on the bottom of the optical viewfinder. Using the blue bar distance scale you could set-up the focus of the lens by applying the hyperfocal infinity method or a pre-determined depth of field. There is no doubt that the ultimate shooting speed is achieved by this approach, even faster than autofocus using the electronic viewfinder. However, one must take into account that it will prove slower to isolate subjects from the background and that is where exposure lock, autofocus lock and using the electronic viewfinder come into their own. To get the maximum speed out of the camera, switch the optical viewfinder power save to OFF and the capture preview to OFF. The lens can be used in hyperfocal mode by switching the camera Focus Selector switch to manual and using the blue distance/metre scale on the bottom of the viewfinder OVF/EVF + LCD screen to the required distance setting to match the aperture depth of field. There is no depth of field scale on the lens but with practice I reckon I will figure out the ratio between the aperture settings and the blue bar distance (metres) scale in the viewfinder OVF/EVF + LCD screen. Also, infinity is clearly marked on the blue bar scale so for speed you can set aperture f8 and use hyperfocal mode back from infinity which should cover most street shots. The lens manual focus ring throw is exactly half a turn between 0.1 metre to 0.5 metres and again another half turn from 0.5 metres to infinity. In manual focus mode, If you set the lens up for a set distance and then switch the camera off and later back on, the lens will return to that same set distance - PROVIDED the camera remains in manual focus mode all the time. 19th March 2013 - Camera delivered - set-up with accessories and in working order. 3" Giottos Screen - Slight Flaw - Since purchasing the camera and the Giottos screen, I have noticed that in the very cold spell that we had here in Scotland and when the camera body was very cold, a tiny bubble appeared in the centre of the screen which I reckon was caused by the back of the Giottos screen slightly touching the LCD screen of the camera. This bubble disappears when the camera body heats up and is not a problem in warm weather. I have never had any problems with Giottos screens on my other cameras but obviously there is tight gap between the two screens on the X100s which is drawn closer at one point when the camera body is very cold. 3rd April 2013 - Whilst shooting in aperture priority mode and having captured about 5 (RAW + Jpeg) images - then on locking the exposure using the AEL button and half/pressing the shutter button to autofocus, the camera locked up and the display of the scene in the electronic viewfinder was replaced with a compact mosaic pattern. I had to remove the battery to unlock the camera controls and start again. To date (6th September 2013) this has not happened again. 11th June 2013 - Autofocus - Initially I had problems with the AF-S area/centre/spot autofocus which would not lock onto certain subjects, typically in very low light, close-up flowers and subjects with a large colour areas (e.g. clear blue skies, large doors) but generally for 98% of my shots the autofocus was fast and accurate enough to deliver a very high keeper rate. On the odd occasion the autofocus went into free fall and refused to lock onto anything but I established that this invariably happened when there was a large movement in the lens glass typically shooting a close up subject and then shooting a subject near or at infinity and vice versa. The answer is to keep the lens glass near the centre of its travel distance for general distance (e.g. street photography) shooting. I also found that separating the exposure, by adjusting it and locking it, using the AEL button, BEFORE the half/press/hold of the shutter button to lock the autofocus on a subject, delivered the 'optimum' exposure and autofocus accuracy. Adobe LR5 RAW Conversion for PC Digital Display - The new (August 2013) Adobe Lightroom 5 software is excellent for post processing but it has limitations with the X100s (.RAF) files in relation to sharpening images for PC digital display as even the slightest over sharpening will create a 'mottled' breakup of the image at 100% digital viewing size. On the other hand if you re-size and sharpen the image (typically 2000/1650 Pixel sizes) the mottling effect cannot readily be seen in a PC digital display. However, the Fujifilm X100s camera does not have an anti-aliasing filter and there is a Catch-22 in that images that have been re-sized and moderately sharpened, even large images at 2000/1650 Pixel sizes can digitally display jaggies a stair like effect on non horizontal/vertical lines (e.g. railings, telephone wires, window frames, tiles, gutters, etc) which will show jagged edges or even in the case of rounded railings, you can see continuous rotational edges. Unfortunately to remove the jaggies means that you either have to blur that part of the image in post processing using an adjustment brush (or specialised software) or the image may have to be presented without additional sharpening applied. Full size 100% digitally displayed images do not seem to suffer from this problem as much but then sharpening is restricted in any case to avoid the mottling effect. This 'jaggies' phenomenon is not restricted to the Fuji X100s camera as it is common in other camera digital images that have been re-sized and sharpened for digital display. This jpeg image has been converted from a 'RAW' image file using Adobe Lightroom 4.4 software and it was slightly cropped for effect. It was captured (aperture priority mode) using the LCD screen with the camera hand held in one hand and shot through the thick glass of my patio door - the pheasant is wild but comes up to my house for handouts; hence his tameness in front of the camera. He is in full colour for the mating season and already has one hen that he brings along to get fed. The Fuji X100s handled the shot very well considering that he was bopping and moving around, pausing only for a split second for this shot to be taken. Please click on the 600pixel image to open up a 1650pixel size image. Full Frame - Even at around 47.5" x 31.6" when digitally displayed at 100% an ISO:200 rated jpeg image produced from the Fuji X100s camera is probably up there with a similar image produced from a 35mm 'full frame' digital camera. The X100s jpeg image files are very clean and the RAW files are excellent for post processing with a great deal of latitude, although the caveat for X100s RAW (.RAF) files is that you require compatible software - please see the section in this article on RAW Developer Software. Opening up Dynamic Range - For (tripod/remote) landscape photography and even photography on the hoof you can squeeze more dynamic range out of the Fuji X100s camera and create effects using hardware filters. These come into their own for that important capture and especially if the scene has very uneven light (very bright skyline against a dark foreground). I use Lee filters with my Canon 5D MK I DSLR camera system and now Lee Filters have introduced a compact kit for cameras including the Fuji X100s called the Seven5 Micro Filter System. You can use this with the X100s but you will require the Fuji adapter which allows the Lee Seven5 screw on 49mm adapter to be fitted to the front of the lens. Please read my Lee Filter Article for more information and links regarding the Lee Filter Seven5 Micro Filter System. For Autofocus - I have to watch that I do not overlap my centre/spot (AF/Area) autofocus rectangle over the edge of a primary subject in the foreground with an area in the background (or foreground) as it can throw the autofocus off whereby the primary subject appears to be sharp in the LCD screen playback display but it is actually slightly blurred when the image is viewed at 100% full size or even when re-sized/re-sharpened for a digital display. 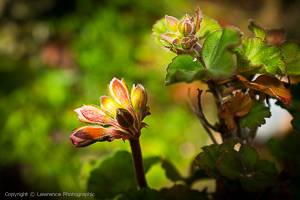 This is more apparent with images that have been captured using apertures (f2-f4) which produce less depth of field. If in doubt and there is time, I use manual focus peaking instead of autofocus. I have set-up the Fuji X100s camera similar to a Lecia rangefinder but only switching to manual focusing (electronic viewfinder) and the focus peaking aid when the autofocus fails. Originally, I was using the manual focus split/image system which is similar to that on my film Nikon FM3a SLR camera but focus peaking (for me) is now the better option. My camera is set-up in Aperture Priority Mode A (shooting RAW + JPEG) which on power up will reflect my aperture priority settings including any Main menu or Q menu edits whilst in previous use. I have also set-up a Custom 1 sub menu to reflect my aperture priority (jpeg file image) settings because if I want to restore those to my aperture priority mode default settings, all I have to do is select Custom 1 from the camera Main menu or the Q button/menu. The Focus Mode Selector on the camera side and the AF, AE, DRIVE and VIEW MODE buttons on the rear provide fast access for changing settings and once I have the main menu set-up and the top Fn button assigned (default) to ISO in Aperture Priority Mode, the camera is relatively straight forward to use with the Q (quick menu) button and command rotating dial providing quick access for alternative settings. Use the centre spot AF point to focus on the primary area of the scene and half press/hold shutter button to lock the focus (there is only a centre green rectangle and beep when autofocus is achieved - there are no manual focus aids available ) then re-align the scene (if required) in the optical viewfinder to suit and press the shutter button fully home to take the shot >>>>> NOTE: It is important that if you are shooting with a very shallow depth of field (e.g. aperture f2) that you watch any re-alignment of a scene as the depth of field (area in focus) may not take in the primary area that you originally focused on, which will then be out of focus in the final shot. The electronic viewfinder (also the LCD screen) accurately displays the scene and any changes in the light - the refresh rate is fast enough when reflecting extreme light changes (e.g. night dark shadows to a bright street light) and I am not disappointed. When I make changes to the exposure using the exposure compensation dial or the aperture on the lens, the visual effects are displayed in the electronic viewfinder (also the LCD screen). In aperture priority mode, the electronic viewfinder and the camera manual controls are designed in such a way that you can keep your eye at the viewfinder whilst you use the dials/buttons on the body to make quick setting changes to the lens aperture, ISO, exposure compensation and apply exposure lock THEN autofocus center/spot lock or switch to manual focus and use the lens manual focus ring and the manual focus aids, including subject magnification, before taking the shot THEN view the captured image with zoom in/zoom out/move around image controls for as long as you like whilst still looking through the viewfinder. Naturally the LCD screen operates in exactly the same way with the same displays. The electronic viewfinder coupled with the exposure metering (multi-mode) displays a very good account of the scene, similar to what your eye experiences. However, with scenes that have a very dark foreground and a very bright skyline, you may have to reduce the exposure to enhance the cloud detail and balance the exposure so that the foreground does not become too dark. 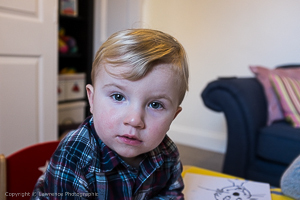 The X100s dynamic range is excellent but obviously there are limitations with some uneven lighting scenes. In such instances, the answer is to open up the exposure on the foreground and either fit a 2 stop graduated screw filter to the lens (using the Fuji Adapter) to pull back the cloud detail or add a software graduated filter to the skyline in post processing, provided you have managed to keep some detail in the clouds when the shot was taken. When I pan the camera around, I experience a very slight lag in the electronic viewfinder but not enough to spoil my photography. If I hold the shutter button down at the same time as panning, the view is blurred. The beauty of the Fuji X100s camera is that it has an ace up it's sleeve, so if you want to pan around to find your shot, use the 'switchable' optical viewfinder, so no lag, no problem! AE-L Exposure Lock - When setting up the exposure of a scene, even using the exposure compensation dial, the scene through the EVF will reflect the changes (also the LCD screen if used instead of the EVF). Then using the AE-L button (toggle on/off) you can lock the exposure (the AE-L button indicator 'E over L' appears in the viewfinder between the locked aperture and locked shutter settings) BUT then the EVF (also the LCD screen if used instead of the EVF) reverts to a normal scene view. With the AE-L locked you cannot change the settings, even using the exposure +/- adjustment wheel and ONLY when you half/press hold the shutter button to lock the autofocus the exposure of the scene changes in the viewfinder to match the AE-L exposure locked settings. I think this is great, the one downside with my Panasonic or my Sony camera is when you adjust the exposure for very uneven light (e.g. bright sky and very dark foreground) the viewfinder invariably cannot clearly display all the scene - not so with the X100s, it behaves very optically in AE-L exposure lock mode until you actually half/press hold the shutter button to autofocus on the primary subject and then re-align and fully press down to take the shot. This is my favourite method of shooting and especially useful for isolating subjects from the background using a f2 aperture with a thin depth of field. NOTE: It is important that if you are shooting with a very shallow depth of field (e.g. aperture f2) that you watch any re-alignment of a scene as the depth of field (area in focus) may not take in the primary area that you originally focused on, which will then be out of focus in the final shot. The optical viewfinder does what it states on the tin and is a pleasure to use in autofocus mode. In manual focus mode, there are no manual focus aids (standard, split/image, focus peaking modes) when using the optical viewfinder and like autofocus mode, it cannot reflect any changes to the scene in the viewfinder when you change camera/lens settings. Without question the optical viewfinder comes into it's own for street and photo journalism photography and to achieve the optimum autofocus speed, switch the optical viewfinder power save to OFF and the capture preview to OFF. When using the optical viewfinder you can see a part of the lens hood in the bottom right of the scene frame but this viewing experience is assisted by the vents cut in the lens hood which you can see through. The optical viewfinder scene frame has the classic area of the scene around it which makes it ideal for viewing subjects coming into the scene frame. The viewing frame lines are very bright in normal lighting but in brighter conditions the lines can still be seen but are less visible. However, when you half/press hold the shutter button the viewing frame lines become much brighter. The optical viewfinder has two displays available - a full display with everything (my settings) displayed and the second (toggle using the rear DISPLAY button) has a clean frame outline with minimal icons and a blue distance scale bar on the bottom (no blue bar in autofocus mode only available in manual focus) which accurately displays the distance that you have the lens focus set. I like using the clean frame plain display which is very similar to a rangefinder camera view with a bright frame line for the area to be captured and the outer area around the frame displays the entire scene. Instead of toggling the optical displays, I tend to just flick the viewfinder (front RED spot toggle lever) and switch to the electronic viewfinder for more information, make any adjustments, even lock my AEL exposure and toggle back to the plain display in the optical viewfinder. The autofocus works in all these views and if you are using the optical histogram in the full display, remember to switch OFF the power save for the optical viewfinder or the histogram will not work. Once the Focus Selector switch on the side of the camera is set to MF (manual focus mode) you can toggle between the three manual focus aids by lightly pressing/hold/release the rear/top Command Control Wheel until split/image changes to focus peaking and again to standard and again back to split/image. You can magnify the subject and manually focus on the subject using the lens barrel focus ring and any manual focus aid in the electronic viewfinder by light quick press/quick release the rear/top Command Control Wheel and repeat to return to normal view or press the shutter button to take the shot. The rear/top Command Control Wheel has a little raised notch on the wheel which requires a very light touch to change the manual focus mode or to magnify the subject. You will get no result from this wheel if you press it hard and try to turn it! From my early trials with the camera, I have found that the Focus Peaking manual focus aid is actually better than the split/image for foliage, trees and landscapes, especially scenes that are a fair distance from the lens. I have tried the split/image aid for other subjects but in the end I prefer focus peaking by default. I have found that the autofocus in normal lens mode and macro mode is not always consistent for close distance. Sometimes I can autofocus closer (on the same subject) in both modes, especially after first using manual focus and the focus peaking aid. In any case, using focus peaking and manual focusing, I can get much closer to the subject in normal and macro mode. I have the filter adapter, UV filter and lens hood fitted and I have checked that my B+W 49mm UV filter clears the lens movement as it extends. The Movie Mode is selectable between 1920 x 1080 30fps or 60fps - I went with 60 fps. Then press WB to start video clip and AF to stop video clip. WARNING - There are other settings in the MOVIE MODE menu and sub menus, especially the Film Simulation mode which provides you with a large number of filter styles, however if you change this setting, remember that it also will change the setting in the Film Simulation for stills shooting in aperture priority. I have the camera set-up for eye detect so by looking through the electronic viewfinder, I can switch to it and then when I press the shutter button to start, the electronic viewfinder is locked and I cannot use the LCD screen until I press the shutter button again to stop the video. The following is a basic test video with the camera set-up for 60fps, A on the shutter dial and A on the lens aperture ring and the Focus Selector switch on the side of the camera set-up for AF-C Continuous Focus. The video was shot with the camera 'hand held and I have left the bad in with the good. There are various occasions when the autofocus fails to lock-on but it was below freezing which may have some bearing on the matter. There is a traffic boom in the background which is coming from the main motorway about 1/2 a mile away. The Movie Mode is selectable between 1920 x 1080 30fps or 60fps - I went with 60 fps and I set-up my MOVIE mode DRIVE menu parameters as in the above Basic Set-up steps and used PLAYBACK as above. Changing the ISO setting does not seem to make any difference, either before or after switching to MOVIE Mode? I have the camera set-up for eye detect so by looking through the electronic viewfinder, I can switch to it and then when I press the shutter button to start, the electronic viewfinder is locked and I cannot use the LCD screen until I press the shutter button again to stop the video. I found the lens relatively easy to manual focus with my finger and thumb, even with the lens hood fitted, as I could move my finger in front of the viewfinder without obstructing my view. Setting up the aperture for a (manual) f# setting could mean that if the light conditions in a changing scene are outwith the range of the camera settings, the video may display abnormalities in parts of the recording. The following is a test video which includes a AF-C Continuous Focus + Aperture f2 test in the first part AND a Manual Focus + Aperture f2 test in the second part. The video was shot in freezing conditions. The manual focus test video (test 2) is very rough but it magnifies the problems when manually focusing the lens including the noise and the jerkiness as my fingers move the manual focus ring. A professional videographer would use the manual focus to shoot clips that have already been manually pre-focused, selecting the depth of field, the aperture and then shooting the video. In this way there is no manual focus during the actual (each clip) shoot which cuts out the jerkiness and any camera noise. The clips are then stitched together in the final video. The video was shot with the camera 'hand held and there is a traffic boom in the background which is coming from the main motorway about 1/2 a mile away. The Fuji X100s camera holds up very well against my Panasonic GF1 Micro 4/3rds camera with it's Lumix 20mm f1.7 ASPH prime pancake lens. The size of the X100s is more appealing as it is slightly larger in the main body which makes it easier for my hands to grip it and also work the manual controls. Please click on the image to open up a larger version with back and side views. Both cameras manual controls are very similar but the X100s has that all important electronic/optical viewfinder built into the body whereas the GF1 has a clip on (no optical) electronic viewfinder which plugs into a dedicated electronic socket as it slides onto the flash shoe. Both cameras have excellent manual controls, although the GF1 is the preferred camera for the number of switchable controls on the top plate. However, I like the exposure compensation dial control and the lens aperture setting ring on the X100s. For everyday use, the Fuji X100s comes out on top as the 'basic' manual controls that you use on a constant basis are very accessible when the camera viewfinder is up at your eye and the X100s viewfinder is miles better than the GF1 clip on. The main plus towards the GF1 has to be the centre/spot autofocus which has never ever let me down - it is fast, accurate and locks onto the subject. I cannot state that about the X100s which on occasions will not lock onto areas of flat contrast and you have to aim the centre/spot AF rectangle to an area that has an edge or a variance in contrast. As expected, technology has moved on and the X100s benefits from usability at higher ISO settings, certainly at ISO:1600 and above compared to the sensor of the GF1. There is not a great deal of difference in the depth of field when the lenses on both cameras are wide open as the Lumix 20mm f1.7 ASPH lens is formidable at f1.7 and it competes on a par with the Fujion 23mm lens at f2, provided the GF1 RAW image files are post processed and converted to tiff or jpeg format for prints. Without a shadow of a doubt it is the image quality that the Fuji X100s delivers that places it ahead of the Panasonic GF1 camera. The X100s digital sensor is larger, it opens up the dynamic range and the camera produced jpeg and RAW image files are superior to the those from the GF1. I have used the GF1 for 3+ years and it's main weakness is the jpeg images it produces and the work that has to be undertaken with the RAW image files in post processing to deliver decent colours and dynamic range. In all the time (apart from initial tests) I have used my GF1, I have never shot any jpeg images straight out of the camera but the X100s camera jpegs are superb, almost to the point of not bothering about the RAWs. I have managed to get out and about in Edinburgh to to try out the Fuji X100s camera on the street. The Panasonic GF1 camera with the Lumix 20mm f1.7 ASPH lens is awesome but the Fuji X100s triumphs it with it's superior electronic viewfinder and the pièce de résistance is the optical (Leica M style) viewfinder. The X100s manual controls did not let me down, the autofocus set for area/center/spot with the largest rectangle was fast and deadly accurate and kept up with the accuracy of the Panasonic GF1. I became so confident shooting the X100s that I very rarely checked the image preview on the LCD screen. Autofocus is the preferred route for fast action but there are occasions like macro shooting or when the AF will not respond properly in low light where the alternative is switching the lens to manual focus. Anyone who has used a Nikon FM3a with it's split image (rangefinder style) manual focusing or a Sony Alpha A57 SLT camera with focus peaking (manual focus assist) to put a sugar frosting coating over the areas in focus will enjoy the extra technology the X100s offers. The current Fuji X100 delivers excellent image quality and the new X100s with the 16MP X-Trans sensor is set to (at least) match the X-E1 but in it's favour the X-E1 is a camera that can interchange Fuji X lenses as well as mount Leica M and other brand lenses using various lens adapters. However, similar to the Fuji X100s camera I have used a 24mm lens on a 1.6x crop APS-C sensor DSLR producing a 38mm field of view and a 20mm lens on a 2x crop sensor Micro 4/3rds camera with a 40mm field of view and the killer limitation has always been the inability (even at f2) to produce a nice background blur (bokeh) 3D effect on a primary subject (e.g. full size person) that is a reasonable distant from the lens. You can create a nice bokeh effect when the subject is close to the lens or part of a subject, like a person's head and the X100s with a fixed 23mm lens on an APS-C 1.53x crop sensor does have the (full size person) limitation which will not suit some photographers. You can see examples of the depth of field limitations in the Portrait Section. The Fuji X100s is a cracking camera but the ability of the Fuji X-E1 to mount the Fuji 18-55mm f2.8-4 R LM OIS XF Fujinon zoom or perhaps even better the Fuji 35mm f1.4 R prime lens with it's 53mm field of view and tighter depth of field at f2 or even at f1.4 might outweigh the advantages of the X100s optical + electronic viewfinder, faster auto focus, focus peaking and split image manual focusing? Using the X100s, which has full manual controls and a fixed prime lens, especially a 23mm with a 35mm 'field of view' can prove daunting for any photographer stepping up from a point and shoot camera. It is a fantastic learning curve and there is no doubt that using the X100s in full manual mode or even aperture priority mode will make you concentrate on your photography - bearing in mind that you can always switch it to full automatic if required. To avoid frustration a photographer using the Fuji X100s will have to accept that with a 23mm focal length lens you will be limited even at the widest aperture of f2 as to how much (real world) diverse control you will have in shooting out of focus (beautiful 3D bokeh shots). Added to this, there are some shots that you will lose to distance or a wider aspect of scene. The camera has a 16MP digital sensor so there is the option to post process using software and crop into an image for a different perspective (pulling the core of the scene closer) certainly up to a 45mm field of view, without losing to much resolution. On the wider scenes there is the (optional purchase) wide conversion lens opening the field of view to 28mm but it is not an option for me - that road should be taken with the Fuji X-E1 and a couple of interchangeable prime lenses at extra expense or the Fuji X-E1 + 18-55mm zoom kit combo for around the same money as the Fuji X100s. I see the Fuji X100s more of a camera for niche work like street photography or as a second camera, even an alternative purchase to a very expensive 35mm prime lens. However, if it is your only camera then the possibility of the frustration that I described above, could prove very real. Normally 85mm is the preferred focal length for a portrait lens but I normally shoot portraits with my Canon 5D MK 1 'full frame' DSLR and a Canon 100mm f2 USM lens. The Fujifilm X100s camera with it's relatively wide 23mm lens is still capable of portrait photography. However it is very easy to get in too close whereby the face can become distorted. My son and his family visited over the Easter period and my twin grandsons (17 months) were boisterous as usual running around the room and very difficult to photograph, especially if I wanted their eyes in focus. Kids at that age seem to understand what a camera is because every time they stopped and saw it in front of them, they were off again. Their Gran was easy meat to photograph, no chance of a 90 year old getting up and running around the room. 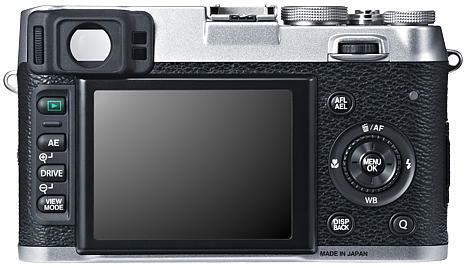 The Fuji X100s, with the image capture preview switched off, delivered a fast enough autofocus and minimum lag with the camera set to AF-S single shot, the drive mode set to still image and AF to area/centre/spot. I found the LCD screen a far easier way of tracking the kids, focusing in on their eyes and grabbing the shot. The image quality is superb considering that Flynn was on the turn of his run when the shot was taken. I have never been keen on shooting frames in portrait mode, I prefer the landscape frame style but as you can see, the subject shot at 23mm focal length has a lot of space on either side and Flynn shot at that distance is just about within distortion range. It is unlikely that I will use the Fuji X100s for portraits and only because I have another camera and lens. However, at the correct distance and with the subject shot in portrait framing, the Fuji X100s camera and 23mm lens are more than capable of producing excellent images. Low Light + Wide Aperture f2 - The Fuji X100s lens is superb in low light even wide open and manages to produce excellent images. I have not pushed the ISO rating beyond ISO:3200 but even so at aperture f2, I can manage to achieve reasonable shutter speeds (without flash) indoors. This shot was taken in a bar in Edinburgh and the 'RAW' image file converted to a jpeg using Adobe Lightroom 5 software. I was using the camera, hand held, no flash, in aperture priority mode, manual ISO, multi-pattern exposure metering, AF-S and area/center spot autofocus set to it's largest rectangle size and the AF locked on with a half press/hold of the shutter button and then pressed fully home to take the shot. Roy has had a touch of the sun on his face, hence the redness. I remain surprised to find a macro mode built into the Fujifilm X100s, especially as the camera is more in keeping for reportage and street photography. 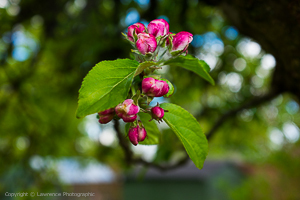 I have checked out the difference between the lens standard focal length and the macro menu switched version. There is not a great deal of extra magnification of the subject with the camera in macro mode almost to the point of being negligible but I suppose any increase is worth it for those photographers who enjoy macro photography. The following 2 images are camera produced jpegs and they were captured with the camera positioned on a very sturdy tripod with the camera main menu set to 10 second timer mode. They were shot in Exposure Metering=Multi, Drive Mode=Still Image, AF-S, AF=Area/centre/spot autofocus mode and the lens was placed at the minimum distance away from the 50p coin for the AF to latch on. I noticed that in timer mode, if the camera powers down or is switched off/on, the main menu 10 second timer setting (in aperture priority mode) resets to OFF. The images were re-sized and slightly re-sharpened (no other settings were changed) using Adobe Lightroom 4.4 software. The image on the left is in standard lens mode and the image on the right is in macro (macro menu switched) mode - please click on either image to open up a 2000Pixel size. It was a cloudy day with the sun coming out in flashes and disappearing again so it was difficult to get a like for like shot but the images serve well to display the size/range differences using macro mode. The images were not shot from the same position as the camera did have to be moved forward with the tripod to get closer for the macro mode shot. The 50p coin is slightly tilted backwards (not completely vertical) and the opening of the bucket in front of the coin is the diameter of the coin which can just fit in the bucket. It is unlikely that I will ever use macro mode, the normal lens mode is more than sufficient for my needs. Insects are the favourite macro subjects and I had a go at shooting a moth on my front door. The camera was in macro mode, hand held and I used the LCD screen at head height to capture to a 'RAW' image file. I have found that by stepping down the autofocus to the subject by locking on from a greater distance and then a nearer distance in probably about 3 steps to the subject, I can get in much closer than the camera's (normal) macro AF limit. The aperture of f2.8 is not the ideal setting as the depth of field is very thin and the main area in focus was the head. I am not into macro photography but ideally (if possible) this insect should have been shot using external lighting or a macro flash, a higher shutter speed, an aperture of around f5.6 to f8 with the Fuji X100s on a tripod and tripped by a remote shutter cable or using the camera timer to take the shot. Flowers are another favourite for macro photography and taken very much the same way as insects with a tripod and the shutter tripped with a remote cable. However, as the X100s is a compact camera and most photographers will not use it for macro photography or carry around a tripod, I shot the two images below 'hand held' without flash and the 'RAW' files post processed using Adobe Lightroom 5 software. Both images have been softened for effect as the originals were very sharp - please click on the 300Pixel sizes to open up the 1650Pixel variants. I am not into flash photography but there are times when using the built in flash of the Fuji X100s camera is important to achieve the desired effect in an image. I usually have my camera set-up to SUPPRESSED Flash and the Red Eye Reduction is set to OFF....................The X100s flash is easy to set-up by using the rear Command Dial flip/pad - right Flash Icon + Menu switched to FORCED FLASH. With scenes which have a very bright background and the primary subject is dark it can be extremely difficult to balance the camera exposure metering to brighten the primary subject without over exposing the background and blowing the colour and details away. This is where the flash comes into it's own by filling in the primary subject, yet leaving the background properly exposed. I learned very quickly to remove the Fujifilm lens hood as it will block part of the flash light on the base of the primary subject, depending on any raised angle of the camera when the shot is taken. Even with the hood removed and with the camera level to shoot a CLOSE UP subject, the lens might still manage to partially block the flash light on the base of the subject. For that all important shot, it is better to shoot from a 'slightly' further distance achieving a broader spread of flash light and then in post processing crop into the image. Using the camera in aperture priority mode, I achieved the optimum exposure and autofocus by first locking (using the AEL button) the exposure of the background to my liking and then using the half press/hold of the shutter button to lock the autofocus on my primary subject (re-aligning the scene if necessary) and pressing the shutter button fully home (also activates the flash on the area of the primary subject) to take the shot. 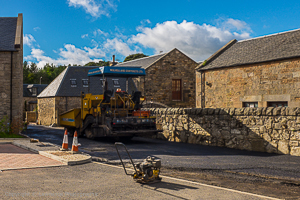 The other day (18th September 2013) the men came to tar the main drive into the new development next to my house and parked their road roller at my gate. The summer weather in Scotland finally arrived so I went into Edinburgh the other day for some lunch and a stroll in the sun. Near the end of the day, I met up with friends at a local bar for some drinks so the Fujifilm X100s camera was well tested. I carried the camera around in my right hand for most of the time with it's backup Gariz wrist strap fitted and when my right hand was holding a glass of cold beer, I popped the camera in my Lowepro Apex 100 AW and slung the shoulder bag around my neck. 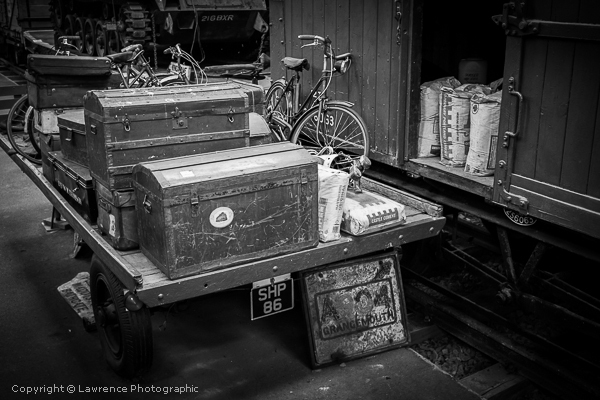 The Fuji X100s is not a camera that you want to lose or have nicked. I must admit I was bit apprehensive about the autofocus speed and accuracy as I had experienced 'hunting' problems with close up and low light shots. For street photography, I was using the camera in aperture priority mode, manual ISO, multi-pattern exposure metering, AF-S and area/center spot autofocus set to it's largest rectangle size. I shot only in RAW image file mode as I wanted to get the maximum 485 shots out of the 16Gb memory card but at the end of the day, I had only taken 90 shots and of those I kept 49 which I have put into a sub web - see the link further down this section. The weather and light conditions were excellent and the cameras performance was flawless in electronic and optical viewfinder modes. The AF locked on 100% of the time, delivered 100% accuracy and so much so that I became confident with just one shot per scene and never bothered to check the preview of the shots. Whether using the electronic or the (my preference) optical viewfinder, the X100s handled beautifully. When shooting directly at the street with very little (if any) skyline there was no requirement to lock the exposure using the AEL button as the lighting was fairly even - just place the AF full size rectangle on the primary subject, half press/hold the shutter button to lock the exposure + AF, re-align the scene in the viewfinder and press home the button to take the shot. In most cases I was shooting at aperture f8 with a decent depth of field so very little need to isolate a primary subject and re-align a scene. However there was the odd time, when I did have to lock the exposure first (separating it from the AF) using the AEL button, due to a darker foreground and bright skyline as well as those times when I was shooting with a wider aperture for placing a subject in focus and the background out of focus. The images captured in the bar were all shot at ISO:3200 and most were taken with a wide open aperture at f2 or f2.8. Indoors and in low light the camera AF locked on 100% of the time, delivered 100% accuracy and again performed flawlessly. The other day (18th September 2013) the men came to tar the main drive into the new development next to my house and up to my gate. At the same time the roofers arrived to finish my coach house roof and install a new chimney stack which had been removed by the previous owners of my property. 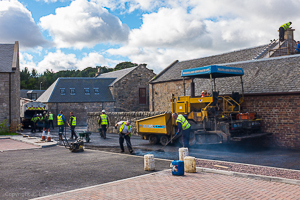 The tar men brought all their heavy equipment and I thought it was a moment in time well worth recording. That's where the Fuji X100s compact came in and I grabbed it from the house and went outside to capture the scene. I asked everyone if they minded being in the photographs and with no dissenters, I ran off a few shots. The main reason for purchasing a Fujifilm X100s digital camera is because it is compact and lightweight for general use and street photography. However, I also purchased my X100s as an alternative to a Canon 35mm L lens so I will also use it on a tripod for landscape photography. I have completed a few test shots and the images captured with the camera mounted on the tripod (to me eyes) have the edge for resolution - the shot settings can be found on the 1650Pixel display plates. The Fujifilm X100s camera does not have a camera calibration or lens profile in Adobe Lightroom 4.4 software, instead it uses the default Adobe profile. The colours are very good but tend to err towards the colder side which is more apparent in landscape images. The images above have not been altered for temperature or tint and I used the aforesaid Adobe profile. 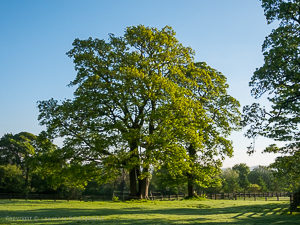 There is a further Landscape (Tree) 4 Camera image sample test near the foot of this section. Resolving Distance - The Fuji X100s camera lens is very capable and even without a tripod or image stabilisation and when hand held it manages to deliver excellent images. At aperture f8 it manages to deliver very reasonable landscape images and with a decent depth of field. I am still shooting camera jpegs + RAW image files but for best image quality the RAW image files, properly post processed, come out marginally ahead. Every lens has limitations for resolving very distant subjects (houses, fences, hedges, trees, ships) in landscape shots, especially without a tripod but overall the X100s 23mm fixed lens performs very well in this respect. Re-sized, re-sharpened digital images for the web cannot properly demonstrate the qualities of the lens as jaggies or compressions often materalise but no such problems arise when post processing a raw image file to tiff or jpeg format (without re-sizing) for a gallery print. This is a Fuji X100s camera jpeg image that has been converted from a 'RAW' image file using Adobe Lightroom 4.4 software and it was shot with the camera 'hand held' at aperture f8 - the lens has managed to resolve the distant landscape rather well. The following were all captured within minutes of each other (5 shots each - best used) and the 'RAW' image files from each camera were post processed using Adobe Lightroom 5.3 Software and re-sized and re-sharpened using Canon DPP Software. Click on each image to open up a 1650 Pixel variant which is approximately A3 print size. The Panasonic G6 camera has a Micro Four Thirds (2x crop) 16 Mega Pixel digital sensor, the Sony Alpha A57 SLT has an APS-C (1.5x crop) 16 Mega Pixel digital sensor, the Fujifilm X100s has an APS-C (1.53x crop) 16 Mega Pixel digital sensor and the Canon 5D has a '35mm Full Frame' 12 Mega Pixel digital sensor. The cameras were all 'hand held' and set in the menus for maximum 'RAW' image file size. The 'RAW' images were all post processed in a similar fashion with minimum saturation and contrast applied. The white balance temperature and tint were matched for all the images. The shadows were slightly lifted in each image and they all had equal sharpening applied during re-sizing for the web. The Fujifilm X100s camera is great to carry around and is now my preferred choice when out and about walking 'Brad' my dog. 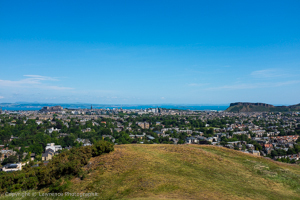 One of his favourite walks is up on Blackford Hill which has a relatively steep climb and overlooks the Edinburgh Castle and Arthur's Seat, the extinct volcano. 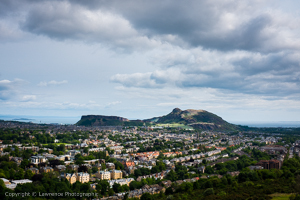 The shots of Edinburgh were taken on separate days, hence the different lighting conditions. These are 'RAW' conversion to jpeg comparison images which have been post processed using Adobe Lightroom 5 software and the sharpness (small versions) tweaked for the web display using Canon DPP software. I have used Adobe Lightroom software to post process my 'RAW' file images since version 3 and it works very well with all my camera 'RAW' image files, including Canon, Panasonic, Sony and now Fujifilm. However when it comes right down to the fine detail in a Fujifilm X100s landscape image, especially trees, bushes and all types of foliage, Lightroom very often leaves the converted image just below my desired sharpness. 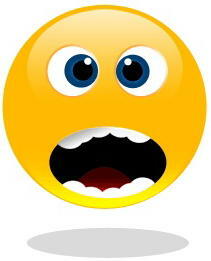 This is expatiated when I am converting a smaller size pixel image for the web presentation. Very often, I have to use a third party image sharpening software to finally tweak the converted jpeg and lift it's sharpness. In fairness to Fujifilm, I very often have to use the same work routine for my other camera converted jpeg landscape images. Lightroom has been rated for a long time as one of the great digital 'RAW' developer software packages but PhaseOne have now released Capture One 7.1.3 software which competes very well with Lightroom. The following image was developed using both software packages WITHOUT any third party sharpening software being used. I raised the sharpness levels in both packages to a limit just below where noise started to creep into the sky and no noise reduction was applied. I kept the raising of the clarity, contrast and saturation to a reasonable level in both packages without any other editing. The PhaseOne image does have sharper detail and there is more brown in the trunk of the central tree, the fence railings and some of the bushes. You can see an example of the same image (X100s Manual Focus Peaking - Tripod - Self Timer) in the Landscape Section (above) which have been post processed using Adobe Lightroom 4.4 and has been sharpened using third party sharpening software. I tend to use Canon DPP Software which is bundled with my Canon cameras to sharpen my converted jpeg images for the web. 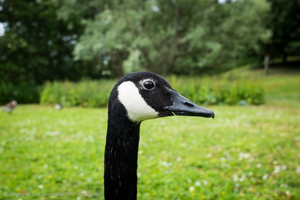 The 23mm lens on the Fujifilm X100s camera with it's 35mm field of view is perhaps not ideal for wildlife photography but if the animals are accommodating and will allow closer access then it is not impossible. These jpeg images have been converted from 'RAW' image files using Adobe Lightroom 4.4 software and were slightly cropped for effect. They were captured (aperture priority mode) using the LCD screen with the camera hand held in one hand and shot through the thick glass of my patio door. Please click on the 200pixel image to open up a 1650pixel size image. 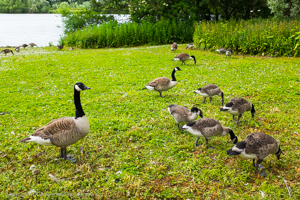 I visited the Duddingston Loch which is a great place to get in close to the wildlife. 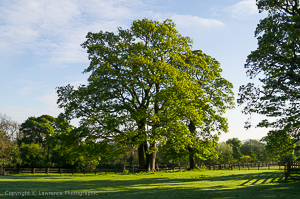 These jpeg images have been converted from 'RAW' image files using Adobe Lightroom 5 software and were slightly cropped for effect. They were captured (aperture priority mode) using the LCD screen with the camera hand held in one hand. Please click on the 300pixel image to open up a 1650pixel size image. The Fujifilm X100s compact camera is not my first choice for macro photography or even close ups but when a spider pops up through the drain hole in your bath, it is always at hand to get the shot. Not that I take the X100s into a bath with me but it is the one camera that is lying around in the living-room. I always leave a towel over the edge of the bath so it was not long before this big guy scuttled up and over it onto the bath room floor. I never kill spiders and I can pick them up without any hassle but usually they get the run of the house. I am impressed with the low light performance of the Fuji X100s camera. I have kept my shots at ISO:3200 or below and I intend to avoid ISO:6400 where possible. At ISO:3200, I can post process in some noise reduction and retain decent image sharpness. The Fujifilm X100s camera is excellent for shooting images of flowers, especially with a wide aperture setting which transforms the images into a more artistic appearance with a nice bokeh, out of focus background. These images were all shot with the camera 'hand held' and without flash. I used the normal lens setting so these are not macro shots, although most of the flowers are tiny in size. 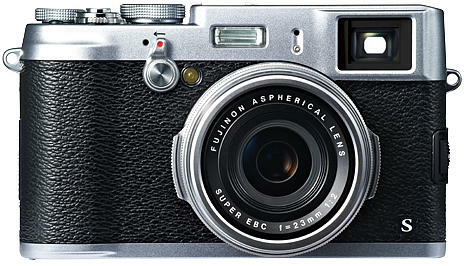 The Fujifilm X100s compact is ideal for general, everyday photography - a camera that you can take anywhere. The 23mm lens (35mm field of view) is good for a broad spectrum of scenes and the 16MPixel digital sensor provides enough resolution headroom for cropping in software post processing to provide a narrower field of view and pull the primary subject closer in the digital display or gallery print. Hill Walking - I like to take Brad (my dog) for long walks in the Pentland Hills, near Edinburgh, Scotland. It's usually a 4 to 5 hour hike with a lunch break at the top of the climb when we can relax and watch the wildlife activity on one of the reservoirs. I take along a medium 'picnic' backpack filled with sandwiches, biscuits, coffee flask, cups and a bottle of water for Brad, although he digs into his share of the sandwiches. The Fuji X100s camera is carried in a separate shoulder bag the Lowepro Apex 100 AW which will accommodate the X100s with the adaptor/filter/lens hood and wrist strap (or neck strap) fitted and wrapped up in a large cleaning cloth. The spare battery slips into the front compartment. The X100s with it's 23mm fixed lens is more than adequate to take on such trips, it is compact, lightweight and during the autumn season it's 35mm field of view is wide enough to capture some decent images. I can 'hand hold' the camera for most of the time and when I want to slow the shutter speed right down, I can use the ND filter setting and my Trekpod walking stick which doubles up as a monopod and tripod. I like the separate bag idea as it is relatively easy to work with the X100s and if the rain starts (as it often does) I can just slip the camera into the Apex 100AW and pull out/fit it's all weather plastic rain cover to protect it from soaking through in heavy downpours. These pictures from a recent hill walking trip were shot in dull overcast weather. The Fujifilm X100s compact camera is excellent for those awkward shots, especially my two year old grandchildren who will not sit still and pose for the camera. They were sitting at a table using their crayons and drawing books and still recovering from very bad colds. I dropped the idea of sitting on the floor and using the viewfinder because at my age I am unlikely to get back up again. It's a lot easier to stand beside them, hold the camera with the right hand down at the face and using the LCD screen to centre the centre/spot AF point on the eyes, half press the shutter button for a very fast lock-on and then press full down to take the shot. These images were captured using the camera in aperture priority mode, ISO:3200 and the aperture set at f2.8 which kept the shutter speed up at around 1/150secs to assist 'freeze' any movement. 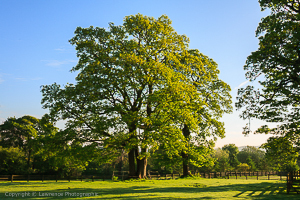 The 'RAW' image files were post processed using Adobe Lightroom 5.3 software and converted to jpegs for the web display. I ran off a number of quick 'single' shots and all were in good focus. 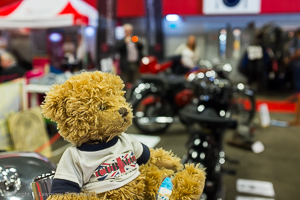 During May - July 2014, I decided to get a full motorcycle licence so I trained with a local company, Saltire Motorcycles and after getting my licence at the end of July, I purchased a motorcycle. The Fujifilm X100s compact is more than capable of capturing my fast moving grand children, Elliot and Flynn in the conservatory at their home. The autofocus is accurate enough to provide a high number of keepers. These camera produced jpeg full size image files (renamed using Windows 7) were captured 'hand held' and in aperture priority, AF-S, and AF full size rectangle mode - without using the flash. Even at aperture f4 there is a reasonably shallow depth of field. The other night, I went into Edinburgh to see the Christmas lights; I had the Fujifilm X100s with me and it was the first time I had used it for night photography on the street. It can take a while to get used to a camera, especially on dark nights with bright lights popping up all over the place but the X100s is great for handling and the autofocus behaved flawlessly. I used the X100s in aperture priority mode, single shot mode, exposure multi-metering, centre spot autofocus and I found that it required (95% of shots) a -1 exposure compensation to balance the overall exposure. The camera without any exposure compensation adjustment tended to meter the darkness out of the sky and over expose it to produce a light brown glow with noise and the resolution of the foreground was lost in the brighter areas. The -1 exposure compensation also gave me the advantage of gaining a faster shutter speed. Keeping the ISO rating down is no easy matter as very often you want to freeze subject movement with a high shutter speed like the spinning carousel below where I was using a shutter speed of 1/200sec to 1/320sec to capture the detail. I found myself working on average between ISO:1600 and ISO:3200 and at apertures of f2.0 and f2.8. Any images shot in the dark of distant subjects like the one below of the blue lit castle had to be kept at ISO:3200 as ISO:6400 resulted in too much loss of resolution. Shooting was straightforward enough once the exposure was properly set-up with the desired aperture and shutter speed determining the ISO rating; select primary subject area with centre spot AF point, half press shutter button/hold, realign scene and press shutter button fully home. These 'RAW' image files were all shot without a tripod or flash and the camera was 'hand held' at all times. I post processed them using Adobe Lightroom 5.2 Software and noise reduction was applied (around 10-15) for luminance and colour. The converted re-sized 1650 Pixel jpegs were finally re-sharpened for the web using Canon DPP software. Street Photography - Sony A7/A7R or Fuji X100s Camera! The favourite 'field of view' for 'Dedicated Street Photography' is 35mm and this is because when shooting at close quarters on the street, the photographer is able to capture f ull body shots with a decent scene of activity in the background. Also, with a 'high resolution' digital sensor a more distant and wider scene can later be cropped into for effect in computer software post processing and/or within some cameras after the shot is taken. Many street photographers also like to shoot in low light and at night under street lights, so a decent wide aperture (f1.4/f1.8/f2) lens is desirable and one which can mate to a digital camera and can produce clean images at night with a low noise vs image quality at around ISO:1600/3200. 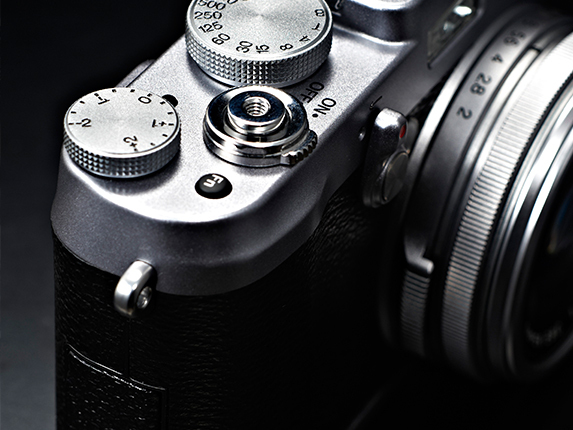 The modern 'enthusiast' camera can shoot in digital jpeg and 'RAW' image file formats. Some photographers prefer to shoot the camera produced jpegs ready for printing or posting on a website and others the 'RAW' format which they can later develop/post process using software on a computer. 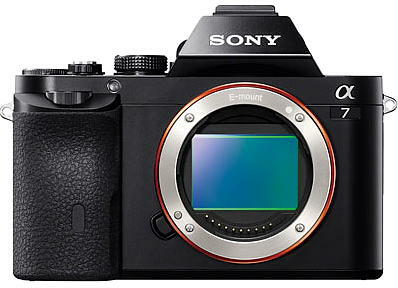 With the announcement of the new Sony Alpha A7/A7R 'full frame' compact system cameras with interchangeable lenses I reckon there will be a rush by 'enthusiast' street photographers to purchase a camera system that many have been seeking for a long time! However, if you are into dedicated street photography you may not be able to afford the Sony A7 with a Sony/Zeiss FE 35mm f2.8 ZA Sonnar T* prime lens as the expected price will be around £1,885.00 on pre-order vat inclusive in the UK. The Sony A7 will certainly be far less expensive than a corresponding Leica M240 with Leica 35mm f1.4 Summilux prime lens and shooting the Sony A7/A7R camera 'hand held' with a 35mm lens at night under street lights without image stabilisation (same with the Leica M) is no big deal as the 'full frame' sensor will facilitate a reasonably low shutter speed; in any case the A7 should be more than capable of delivering excellent image quality at ISO:3200 therefore allowing a faster shutter speed with that wide open f2.8 aperture. However, the A7 does not have a faster f1.4 or even an f2 aperture on it's lens OR that beautiful optical (body) viewfinder with the 'inner framed' rectangle (capture area) that also lets you see what is entering the scene from either side of the total viewing area. So what is the best alternative, similar to a Leica M in use and delivering excellent image quality at a lower price? I currently use a Fujifilm X100s digital compact camera which has a 'fixed 23mm' (35mm field of view) f2 aperture lens and it also does not have image stabilisation but 'quid pro quo' the lens is 23mm native so on an APS-C 1.53x cropped sensor, it too can easily facilitate lower shutter speeds and it can also deliver excellent low light noise vs clean image quality up to ISO:3200. The X100s has a hybrid viewfinder, an optical one designed with an rectangle outline so that your eye can see around the rectangle viewed scene and take in what subjects are coming into the scene and ALSO an electronic one (both toggled by a flick switch) which conveys accurately the changing light and focus in the scene to the eye, similar to the rear LCD screen. Phase detection autofocus (0.08sec) is also included in both viewfinder modes and when using the lens in manual focus mode there is a distance scale in the optical one and 'what you see is what you get' in the electronic one as well as focus peaking and split image manual focus aids. My camera costs around £999.00 vat inclusive in the UK. 6th September 2013 - The Fujifilm X100s camera is one of the best compact cameras that I have ever used. 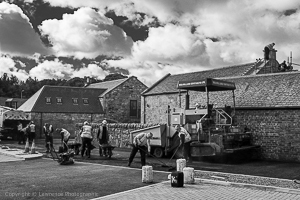 Handling + Manual Controls - For street photography the Fuji X100s compact does not get any better for handling. It performs at it's best (for me) with the lens set in either manual hyperfocal or autofocus modes and the electronic viewfinder is great but the optical viewfinder is awesome. I purchased the camera as an alternative to a Canon 35L lens and the X100s has not disappointed in this respect. For general use, it is compact, lightweight and easy to carry around in my hand (or waist belt/shoulder bag) all day (wrist strap for backup) or in a larger bag alongside my 35mm 'full frame' DSLR for project work. 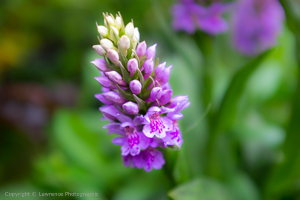 Autofocus - Initially I had problems with the AF-S area/centre/spot autofocus which would not lock onto certain subjects, typically in very low light, close-up flowers and subjects with large colour areas (e.g. clear blue skies, large doors) but generally for 98% of my shots the autofocus was fast and accurate enough to deliver a very high keeper rate. On the odd occasion the autofocus went into free fall and refused to lock onto anything but I established that this invariably happened when there was a large movement in the lens glass typically shooting a close up subject and then shooting a subject near or at infinity and vice versa. The answer is to keep the lens glass near the centre of its travel distance for general distance (e.g. street photography) shooting. I also found that separating the exposure, by adjusting it and locking it, using the AEL button, BEFORE the half/press/hold of the shutter button to lock the autofocus on a subject, delivered the 'optimum' exposure and autofocus accuracy. Firmware Fault + Battery Life - To date (6th September 2013) I have had only one lock-up of the firmware with a battery removal to clear it and the problem has never repeated. The battery life leaves a lot to be desired, especially if you use the built in flash but for some reason the life is longer if you allow the battery to properly drain before a full charge. Small top up charges do not seem to last as long. I have a spare battery and I recommend that you purchase a Fujifilm brand battery as a backup. Optimum Image Quality - The Fuji X100s lens is exceptional all the way from the widest aperture at f2 and stopped down to f16 but I reckon aperture f8 (ISO:200) is the optimum for image quality, delivering a reasonable balance across the entire image with a decent depth of field. I tend to shoot 'RAW' image files which restricts the camera to ISO:200 for optimum image quality as ISO:100 cannot be used. Like any other 23mm lens it has it's limitations for resolving at distance which should not be pushed, especially in lower light conditions. I tend to remain at ISO:3200 or below for low light shooting where the noise is very well controlled with exceptional resolution, however in good light, ISO:6400 is more than adequate for A4 size digital displays and prints. 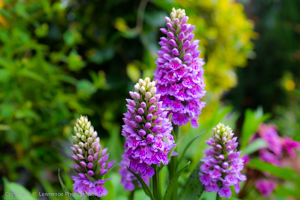 The 'optimum' image quality is achieved by shooting in 'RAW' image file format and post processing in Adobe Lightroom 5 or PhaseOne Capture One 7.1.3 software but with the correct exposure the camera produced jpegs image files are exceptional. Adobe LR5 RAW Conversion for Gallery Prints - The new (1st September 2013) Adobe Lightroom 5 software is excellent and a slight improvement over the 4.4 version for post processing 'RAW' image files and converting them to tiff format. With careful editing you can create a 100% full size tiff image which is free from jaggies and compressions and can be used to produce an excellent gallery print. The actual size of the final gallery print is determined by how much sharpening has been applied in post processing as in some cases a 100% print size (around 47.5" x 31.6") may display a breakup in the rendition. Adobe LR5 RAW Conversion for PC Digital Display - The new (1st September 2013) Adobe Lightroom 5 software is excellent and a slight improvement over the 4.4 version for post processing but it has limitations with the X100s (.RAF) files in relation to sharpening images for PC digital display as even the slightest over sharpening will create a 'mottled' breakup of the image at 100% digital viewing size. On the other hand if you re-size and sharpen the image (typically 2000/1650 Pixel sizes) the mottling effect cannot readily be seen in a PC digital display. However, the Fujifilm X100s camera does not have an anti-aliasing filter and there is a Catch-22 in that images that have been re-sized and moderately sharpened, even large images at 2000/1650 Pixel sizes can digitally display jaggies a stair like effect on non horizontal/vertical lines (e.g. railings, telephone wires, window frames, tiles, gutters, etc) which will show jagged edges or even in the case of rounded railings, you can see continuous rotational edges. Unfortunately to remove the jaggies means that you either have to blur that part of the image in post processing using an adjustment brush (or specialised software) or the image may have to be presented without additional sharpening applied. Full size 100% digitally displayed images do not seem to suffer from this problem as much but then sharpening is restricted in any case to avoid the mottling effect. This 'jaggies' phenomenon is not restricted to the Fuji X100s camera as it is common in other camera digital images that have been re-sized and sharpened for digital display. The Fuji X100s compact camera is designed for the purist photographer who likes to shoot camera jpegs in aperture priority and manual modes. Once you strip away the 'bells and whistles' it has the essential manual controls and the ability to pre-set the jpeg 'capture settings' in the menu to allow the photographer to experience the most basic form of capturing images with a camera. The 49mm filter thread on the (optional) Fujifilm adapter can accommodate screw in hardware filters as well as accepting screw adapters for sliding filters such as the 75mm and 100mm Lee Systems. The electronic viewfinder is excellent but if the photographer wishes an even more 'basic' experience, the optical viewfinder emulates the frame display of the Leica M series cameras. It is unfortunate that the lens does not have a depth of field scale on the barrel but hyperfocal and depth of field zone focusing can be accomplished by setting the camera in manual focus mode and using the blue bar scale in the optical or electronic viewfinders to pre-set the required distance. The camera can also be used in camera jpeg plus 'RAW' image file capture for those photographers who wish to post process 'RAW' image files with minimum editing to covert and produce a tiff image file variant. Overall - I cannot fault the Fuji X100s, it's manual controls, the electronic and optical viewfinders and the handling deliver a terrific buzz, especially for street photography. As a camera for general use, for carrying around with you in domestic, social and even for specific project work, the X100s compact excels. Some photographers might expect too much from the X100s with it's 23mm 'fixed' lens and 35mm 'field of view' but it is designed from the ground up to be used as a lightweight compact, delivering excellent image quality similar to a larger and much heavier 35mm 'full frame' DSLR camera.